DRUNKfly’s story concludes by walking right into Yoshi’s nose. Or at least that’s what he saw. Coming November 23 will be Minish Cap, as well as Phantom Hourglass in December (decided to also put it and Spirit Tracks in this thread, why the hell not). For those unaware, these portable Zeldas were/are all uploaded unlisted and shared with my Patreon patrons first and then released publicly once the whole LP is complete. Since Minish Cap is still in-progress on my Patreon, that’s why it will be another month before I start uploading it here. Phantom Hourglass will be a public LP from the get-go while Spirit Tracks will be Patrons first, though it will run at the same time as PH. If you’re aching for more portable Zeldas from me, I already did Ocarina of Time 3D back in 2015, A Link Between Worlds in 2016, and Tri Force Heroes with my friends concurrent to ALBW. I’m also open to doing a more casual look at Majora’s Mask 3D and OoT3D Master Quest, since I’ve already done full LPs of MM and OoT3D. For now, see you all in a month for my vote for the best portable Zelda behind ALBW, if not one of the best Zeldas period. With the Oracle games and the first Four Swords under their belt, Nintendo gave Capcom and Flagship another go at developing a portable Legend of Zelda for the Game Boy Advance. 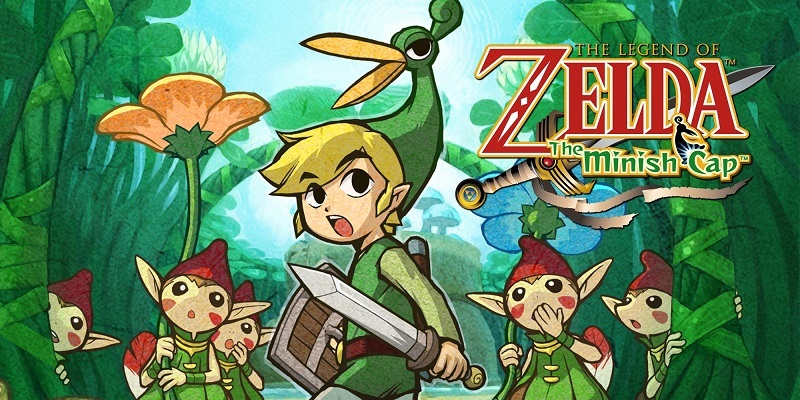 The result, The Minish Cap, is one of the franchise’s highlights - a fresh, fun, richly detailed, well-designed (mostly) 2D Zelda that stands up right alongside the best of the whole franchise while managing to feel surprisingly divorced from it. How? See below. This is a 100% LP, meaning all Heart Pieces, Kinstone fusions, and yes, those damn figurines. The secret is I’m emulating the game. I am joined once again by MeccaPrime, who also LP’d this game back in 2011. His LP has pictures! But mine has 60fps. This LP was made especially for my Patreon patrons and was shown to them in full from September 2018 through November 2018 before being made public. Go small, then go big. And yet, the gates are still closed for the most part. And lots of chicken handling! But it also means the return of notable Majora’s Mask NPC Anju so that is well and good. It really seems like that when the cap first jumps on link, its fusing with his head. Outside of that the minish despite being friendly really look like redcap faeries. Kept expecting one of them to try and stab link. I don’t think she had a specific name at the time but I know her association with chickens was from Ocarina of Time. But what gets me is, wasn’t she like heinously allergic to chickens in OoT? Yeah, in Ocarina she was just a nameless NPC chicken Cucco farmer with an allergy to Cuccos to justify why she pays complete strangers to do her job. But “Anju” is a more useful shorthand to refer to the character than “nameless incompetent Cucco-farmer NPC”. Guess who got stuck on the water bean thing as a kid? ME! On the plus side, I got a lot of Kinstone fusions out of the way. I like it, and that’s what’s important. I don’t like the game audio clipping itself, apologies for that. I suspect this is the comic you guys were talking about. And if it’s not, well. I feel sorry for you. Let’s say there’s, perhaps, too many. So much about this must be Ezlo’s fault. Well isn’t that a slap of thread-relevant nostalgia. Ah, dust, the most deadly part of wind. Remember how we very recently had two consecutive collection videos? Minish Cap does that. Does it count as a cheeky Link’s Awakening throwback of referencing Mario games that the ocarina tune is the warp whistle theme from Super Mario Bros 3? How granular must we get before we’re just being obtuse, says the granular and obtuse commenter. Side note, the sprite work in this game is great. The cats are effing adorable, even when they try to kill you. So that cobbler spot with the minish is a lovely reference to the old fay folk myths. Particularly the Brownies. Sadly most games leave out the part where creatures like the minish usually want some sort of payment, be it just milk and a bit of food left out or needing to make clothing for them. Anyway excellent lp so far, really enjoying seeing the origin of the hat that makes sense.